Brain/computer interfaces (BCIs) are an emerging technology with a wide range of applications, from gaming and robot control to medical purposes. They read EEG signals (electroencephalography, brain waves), using specialized hardware; feed them into recognition software; and map recognized signals to actions in an application. Java Mind Reader session at Java One 2013 explains how to use available Java open source tools for BCI signal processing, visualization, and recognition. 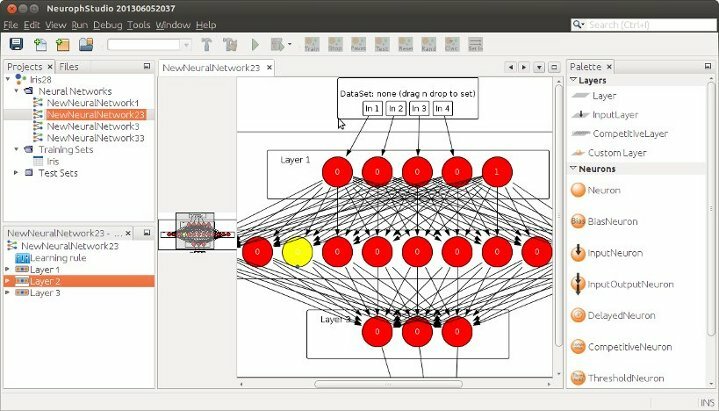 It briefly covers steps for BCI development and gives general guidelines on signal recognition, along with a demonstration of how to use the Java neural network framework Neuroph for signal classification. There are several commercially available BCI devices from Emotiv Epoc http://www.emotiv.com/ , NeuroSky MindSet http://www.neurosky.com/ , and even open source Open EEG http://openeeg.sourceforge.net/doc/ (which provides open source hardware and software). However the main trick (and ongoing research) is signal recognition/classification - how to extract and detect specific patterns from raw EEG signal. Neuroph framework http://neuroph.sourceforge.net starting from newly released version 2.8 provides open source tools for reading, visualization and recognition of EEG signals from NeuroSky MindWave device, based on NetBeans Platform.